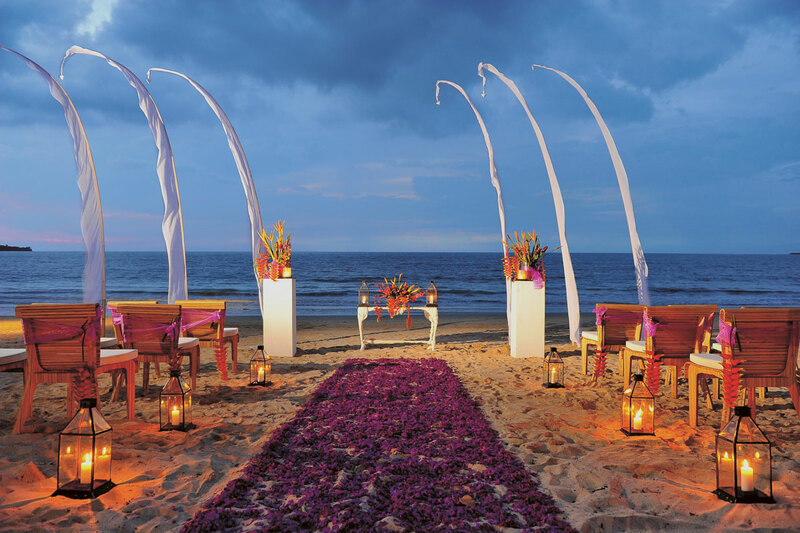 Belmond Jimbaran Puri overlooks one of Bali ’s most beautiful beaches. 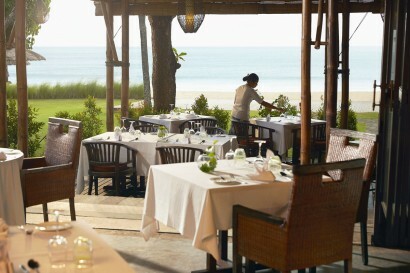 These talcum-soft sands have everything that travelers dream of in a tropical escape: a vista of the evening sun slipping beneath the horizon, fishermen out at sea, and a laid-back restaurant beside the water where the scent of grilling fish entices you to your table. 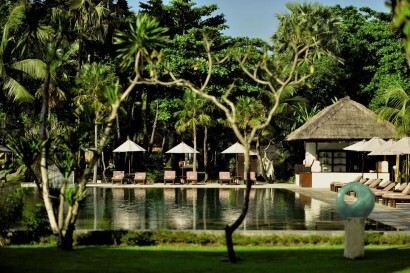 This Balinese retreat is a place to truly kick back and to let the spirit of the island come to you. Indulge in a massage beside the sea, stretch out on your terrace and inhale the scents of your garden’s tropical flowers. 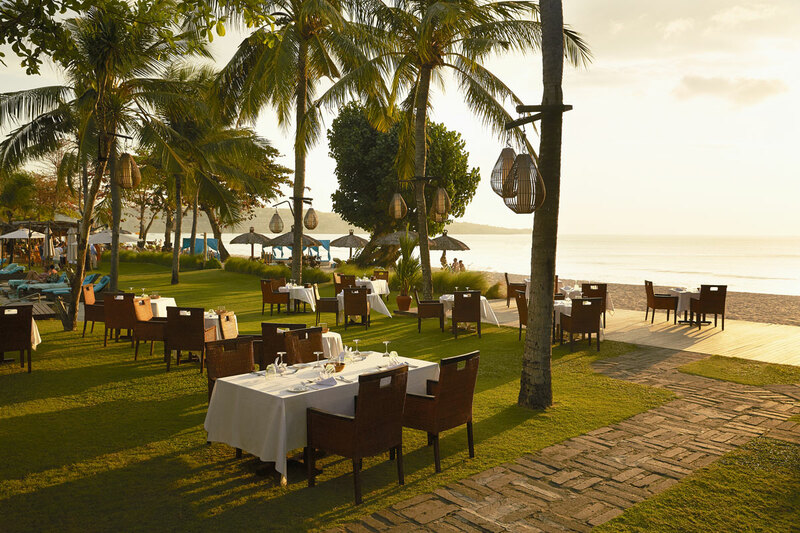 Belmond Jimbaran Puri is located in the heart of Jimbaran Bay, one of the four prime destinations in Bali, and is just 15 minutes from the center of Kuta and Nusa Dua. The resort is ideally located on wide white sandy beach of Jimbaran Bay and offers on-beach cottages with premium views and spectacular 1 bedroom Pool Villas. 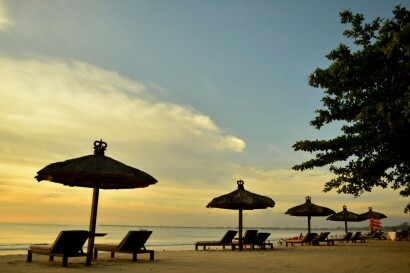 Its westward facing orientation provides optimum sunset viewing from the beach bar and restaurants. 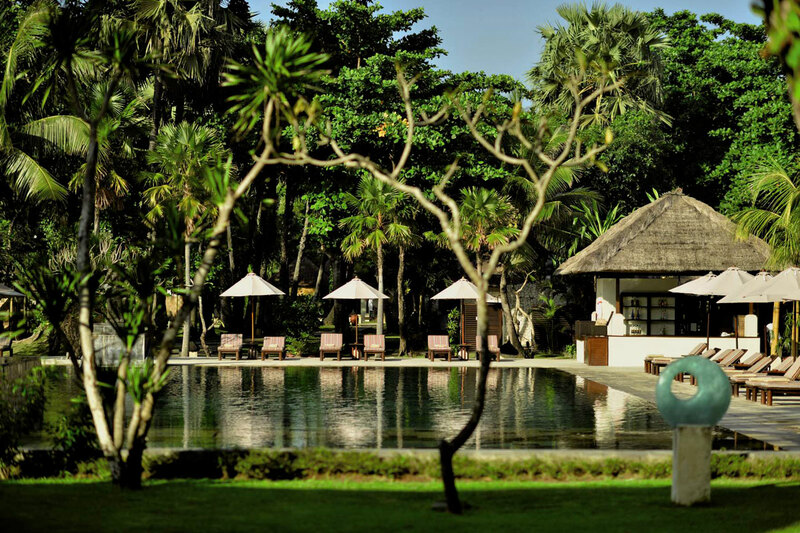 •Yoga – Hosted in the hotel’s lush gardens or on the beach. Alternatively, activate the body’s energy flow with ancient Tai Chi, or still the mind with a guided meditation. 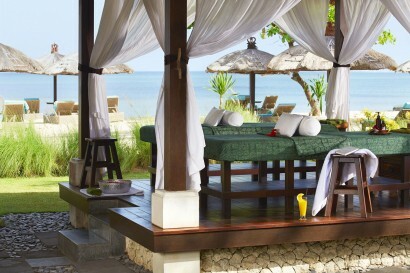 • Balinese Massage – Combining traditional muscle-soothing techniques with native traditions and Indonesian botanicals. • Balinese Dance – Join us to master the elegance and intricacy of traditional Balinese dance. This one-hour class is suitable for beginners, and gives a fascinating insight into this ancient, expressive art form. • Superior Garden View Cottage (6) 90m2 cool oases of timber and marble, Balinese style gate leading to a private walled garden and terrace, king-sized bed, sofa bed in the living room area, private tropical garden seen from floor to ceiling window in Indonesian bathroom, access to the outdoor shower facilities, double sinks. 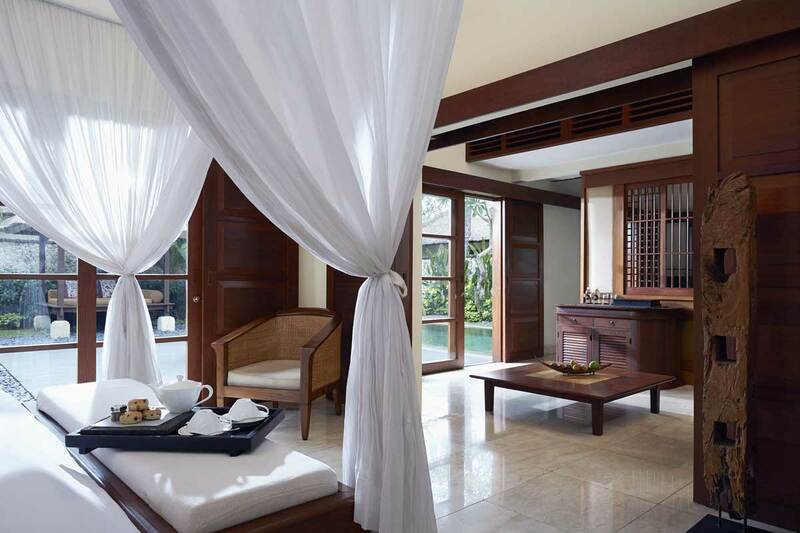 • One Bedroom Deluxe Pool Villa(19) 350m2 cool marble floors and teak furnishings grace the spacious living area. Recline on the oversized day-bed and look out ontu 6.6×5 meter private pool. 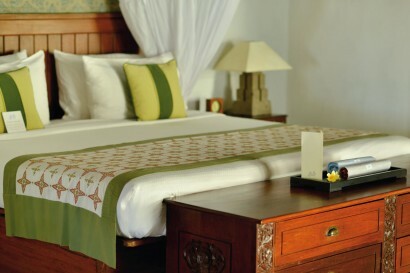 Each bedroom enjoys exquisite en-suite facilities. 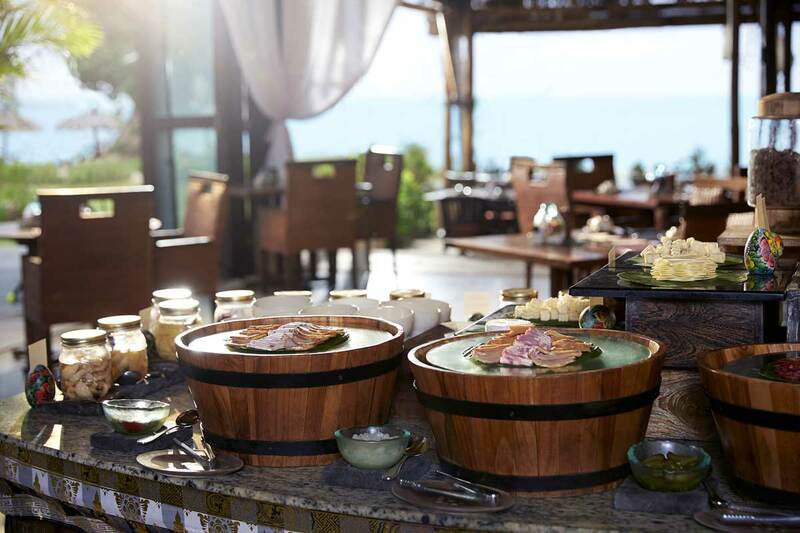 Soak in the black-stone tub filled with fragrant salts. 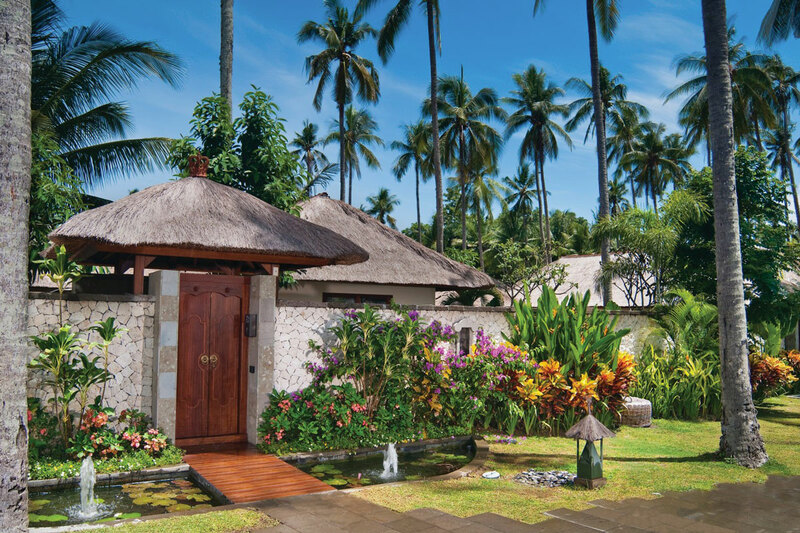 Villas also offer: Private Breakfast in the villa or Full Buffet Breakfast in the Restaurant, In-room espresso machine, Butler Service, Daily Afternoon Tea (4PM – 5PM) in the Villa, Newspaper of choice, chosen at check-in, Daily Fresh Fruit, idock station. 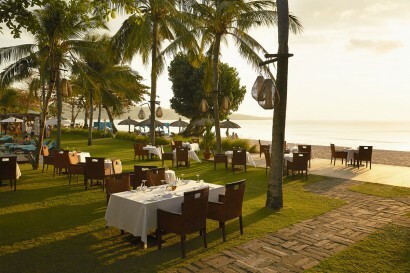 • Tunjung Restaurant – Typical Balinese & Asian cuisine. Jimbaran Fish market visit – Head to morning market for a flavour of rural Bali. Select your catch your of the day. 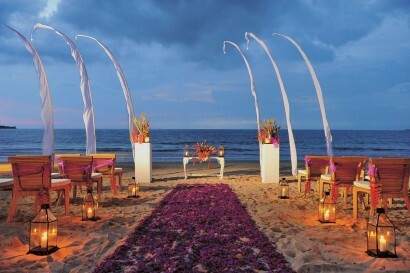 Artisan Demonstrations – The island of Bali pulses with an artistic spirit. 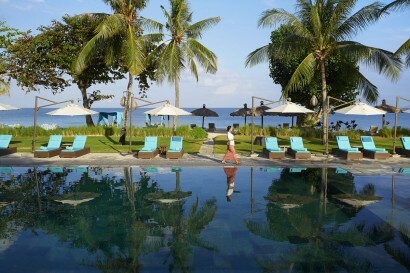 From the silversmith capital of Ubud to the villages that line the coast. 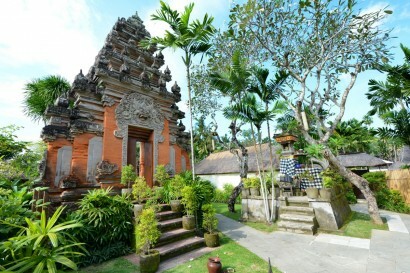 Herbal Remedies – The Balinese have faith in the healing properties of Mother Nature. Jamu, an Indonesian herbal drink made from the anti-inflammatory herb, tumaric, is one of the most popular concoctions.